HAPPY BLOG TOUR DAY FOR THE SKYLIGHTER!! We owls are happy to present an excerpt from The Skylighter, Book 2 in The Keepers' Chronicles. 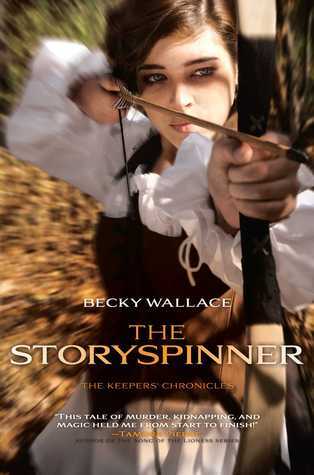 I loved The Storyspinner and I'm so so so excited to be apart of this tour. If you haven't read the first book I suggest you start NOW because this dualogy is unique and different and you'll love it. I promise. Now are you ready for the excerpt? Rafi knocked lightly before pushing the door open. “Johanna?” He edged into the room, hesitantly, as if he were invading her private space. He’d purchased a new shirt, a garish, woven thing with a wide V at the neck, a large pocket across his belly, and a hood that hung to his waist. It wasn’t quite long enough, looking like something that might have shrunk in too-hot wash water. Johanna wanted to laugh, but she couldn’t look away from the lines of muscle the shirt exposed. She’d always been attracted to Rafi, even when she refused to admit it. She spent weeks ignoring his good looks, branding him a conceited noble, and taking every opportunity to wound his pride. But now, heat crept up her cheeks when she realized that neither of them had spoken; that they both waited, frozen, staring at each other. “That shirt is absolutely hideous,” she said, finally breaking the silence. “I think that’s a tail.” He reached across the small space to touch the animal in question, his hand lingering on her arm. The contact sparked a fuse, lines of heat raced across her skin, spiraling inward, making her stomach clench. Breathe, Johanna. No need to get ninnyheaded every time he walks into a room. She wanted to turn away, to pretend she felt nothing, but his fingers slid past the bend of her elbow and landed at the dip of her waist. Rafi pressed her closer. The ugly dress was crushed between them, her hands fisted against his ribs, his heart pounding against her knuckles. There was a moment of hesitation, when he gave her the chance to back away. With war on the horizon, Johanna and Rafi dodge treacherous dukes and Keeper assassins as they race to through the countryside, determined to strengthen the wall before it’s too late…even if it means sacrificing their happiness for the sake of their world..
With dukes, Keepers, and a killer all after the princess, Johanna finds herself caught up in political machinations for the throne, threats on her life, and an unexpected romance that could change everything.. 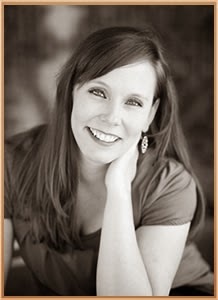 In second grade, Becky Wallace had to sit in the corner because she refused to write anything except princess stories and fairy tales (and because she talked too much). Her time in isolation gave her plenty of opportunities to dream up the fantasy worlds she’s been dabbling with ever since. She was lucky enough to find her own real-life Prince Charming. They have four munchkins and live in happy little town near Houston, Texas. 5 winners will receive autographed SETS of STORYSPINNER and SKYLIGHTER with swag, US Only. 10 will receive swag sets, US Only. And on't forget to follow the rest of the tour stops! I would love to read these books.Thanks for the chance to win! Sounds like a lovely book! Thanks for the giveaway. As the last of the royal line, right there I am intrigued. Magical breach, ,apical abilities, and duke, so much to read, so much to know. Sounds like a winner here, good luck oh by the way I really like the bookcover, goes great with the story. 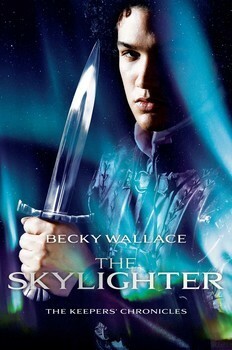 I really enjoyed the first installment and can't wait to get my hands on Skylighter. Thanks for the giveaway!